Welcome to The Psychic Cottage Blog! 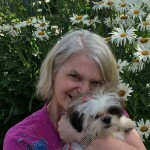 My name is Sharon and I’m the owner of The Psychic Cottage and I welcome you to my blog. I am totally excited and grateful to be able to have the opportunity to talk to my clients and friends using this medium (no pun intended). I love blogs even the name makes me smile. I promise you all here and now that I will do whatever it takes to keep up my blog regularly so you won’t be disappointed. It’s a terrible feeling when you go onto your favourite blog and there is no new material. So through rain sleet, snow and hail I will deliver to you The Psychic Cottage blog (affectionately known as “TPC Blog”). I have lots of exciting ideas, including freebies, contests and I’m hoping you will give me a little bit of patience while it all evolves. One of the things I want to do is called “Along the Way”. I want people I have met along my path to be a guest blogger (“bloggee”) and they will share with you a Gem of their own Personal Wisdom.